Here is a tender blending of memoir and theology, a joining of heart and mind, a sober yet joyful consideration of Scripture in the face of one of life’s deepest and most grievous trials. What exactly happens to those who die as Christians? What do they immediately experience? What is their existence like right now? What will happen to them when Christ returns to earth? These questions can be especially acute for grieving loved ones who remain. What comfort and assurance does Scripture offer you? What can you truly know and be confident of? These are the questions and concerns that faced Pastor Albert N. Martin following the death of his wife of nearly 50 years. He knew that, if he were to grieve in a way that glorified God, he needed to know the answers to those questions, as clearly as possible, directly from Scripture. This book is the product of his grief, his tears, his travails, his prayers, and his concentrated study of God’s Word. A beloved pastor and widely respected preacher for half a century, Albert Martin handles Scripture with the greatest of skill, care, wisdom, and respect. 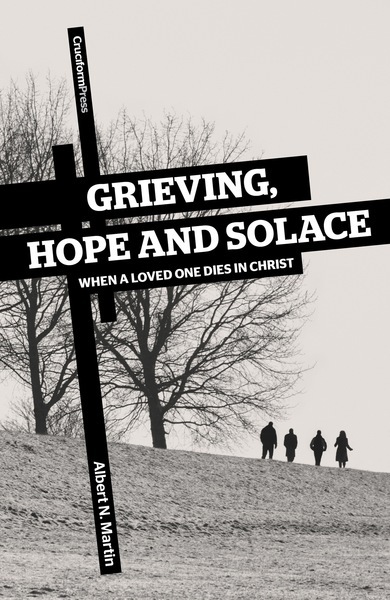 In this book, you will learn what God tells us with regard to the burning questions that so often accompany the death of a loved one in Christ. There is comfort for the grief. There are answers to the questions. The Bible does offer hope, solace, healing, and confidence. Pastor Albert Martin has been there. Let him share with you the deep comfort, encouragement, and joy that he found, through Scripture, in the midst of his grieving.